We had a lovely day - it was sunny and I enjoyed the afternoon. After it got dark I saw how clear the air is and that I have a perfect view on the skyline the city centre and our mountains. I always liked those lights of the city as I call it and I enjoy just watching it. So I thought it would be nice to make some coffee, switch off the lights in my flat, the radio and take a sit at the table of my dinette in front of the big windows of my living room and just watch the views. It was a time out after the past week and a time out before the week will end. No lights in the flat no noises. GREAT. But talking about coffee - I must confess that I am an addicted coffee drinker. I usually drink 3-4 mugs of coffee a day which makes something around 2 pints. It's a lot I know but I really savour every mug. I am one of those few people who drink coffee because of it's taste and not because they need it to wake up. Coffee effects on me exactly the opposite of why usually people drink it. So I enjoy my last coffee short before I go to bed and I can sleep like a baby. Lucky me! 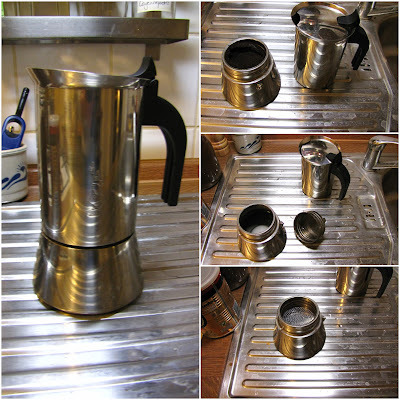 There are special coffee powders you can use in a moka pot. I usually buy only two brands of coffee. 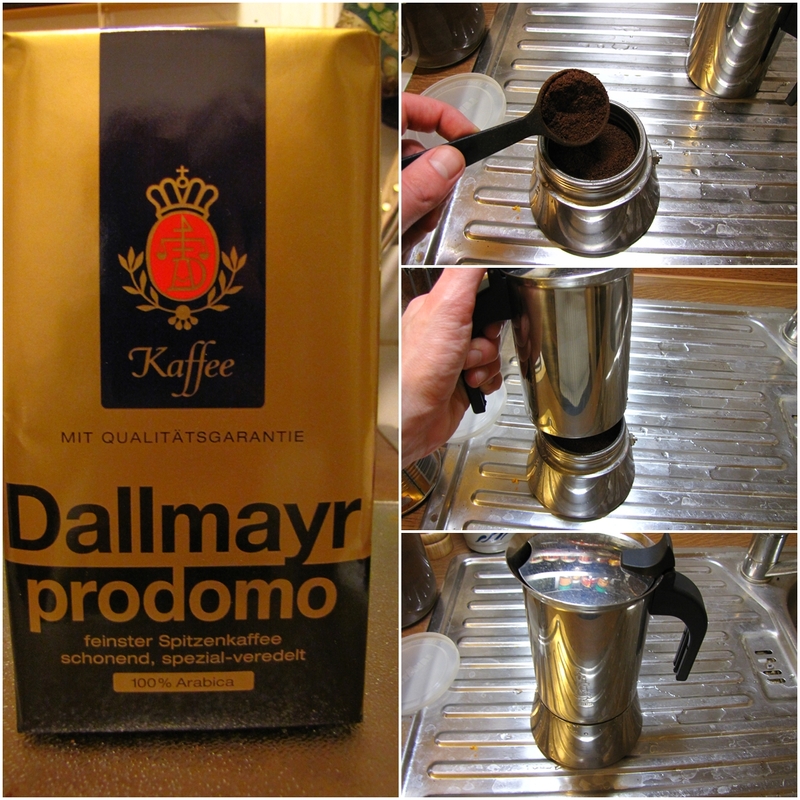 The Dallmayr Prodomo which is 100% Arabica (Dallmayr Website) or the Eilles Gourmet Café (Darboven Website). Both brands are traditional German firms with a long history and experience in blending coffee. Next time I'd like to try a new one - a special blend for the Viennese Mélange I had at a friend's and which was very tasty. 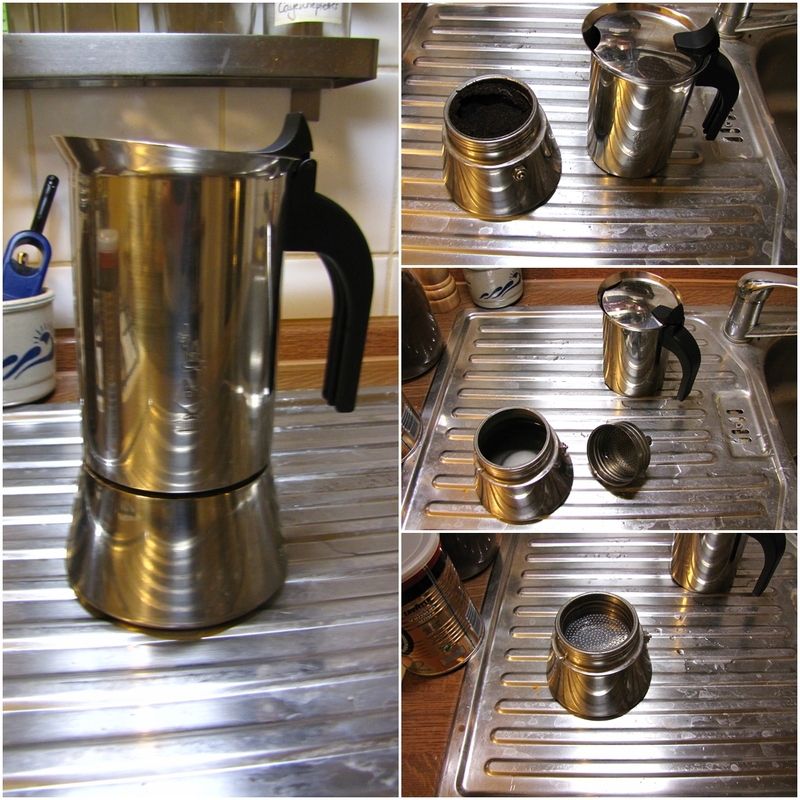 That blend works fine with the moka pots. Take a look at the pictures and the video below. And here's finally a short video of the last seconds before the coffee was ready. Don't worry, it's safe since there is a safety valve on the pot's side. 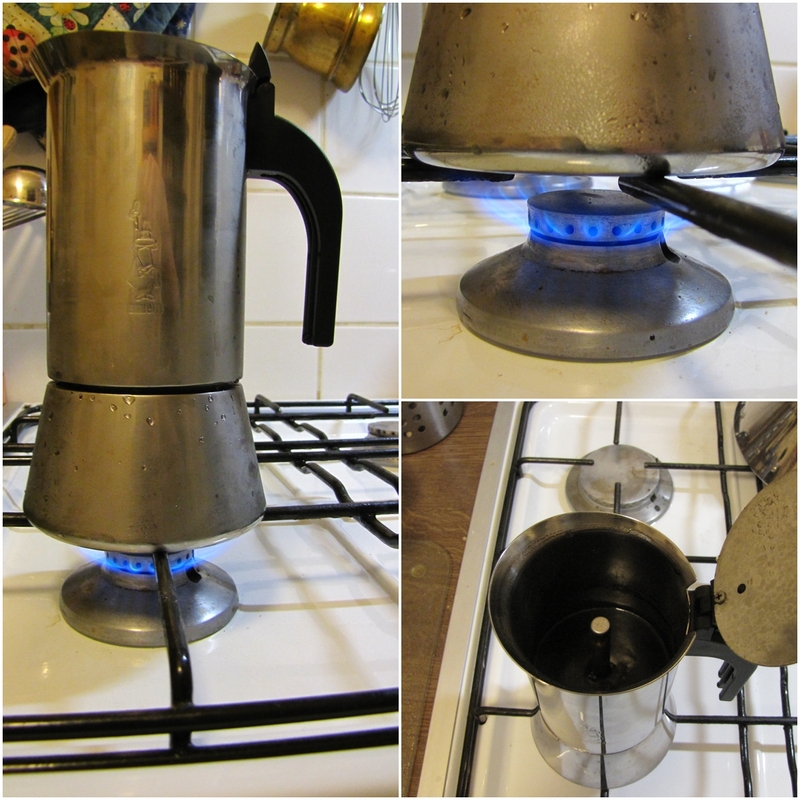 Can you smell that coffee allready? ?